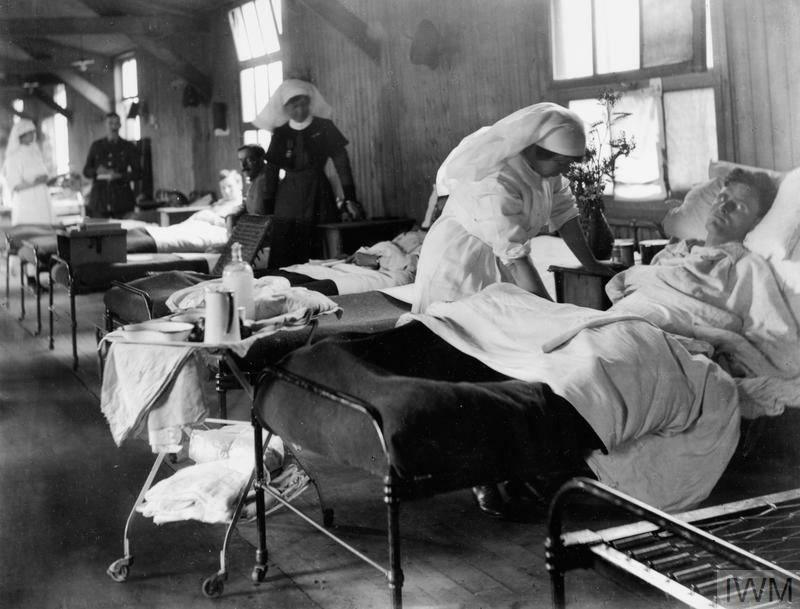 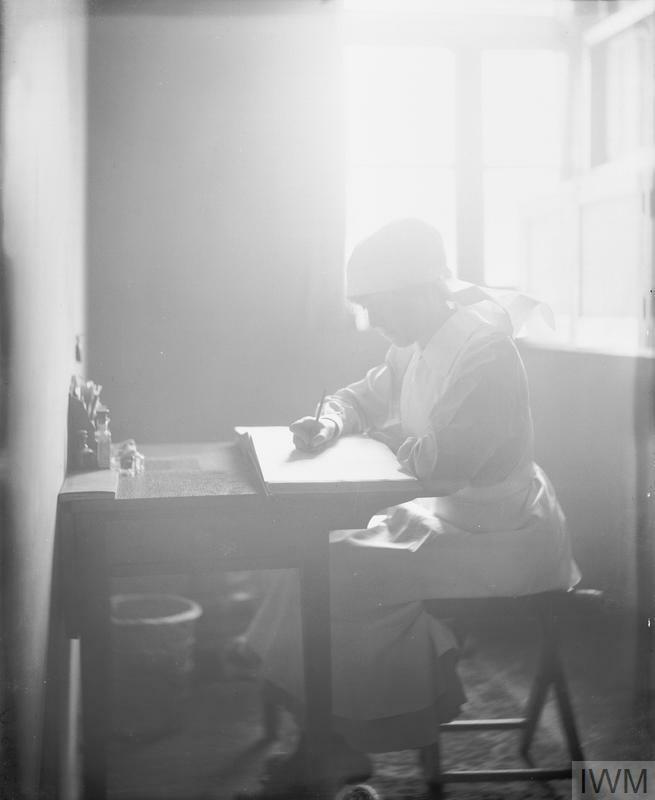 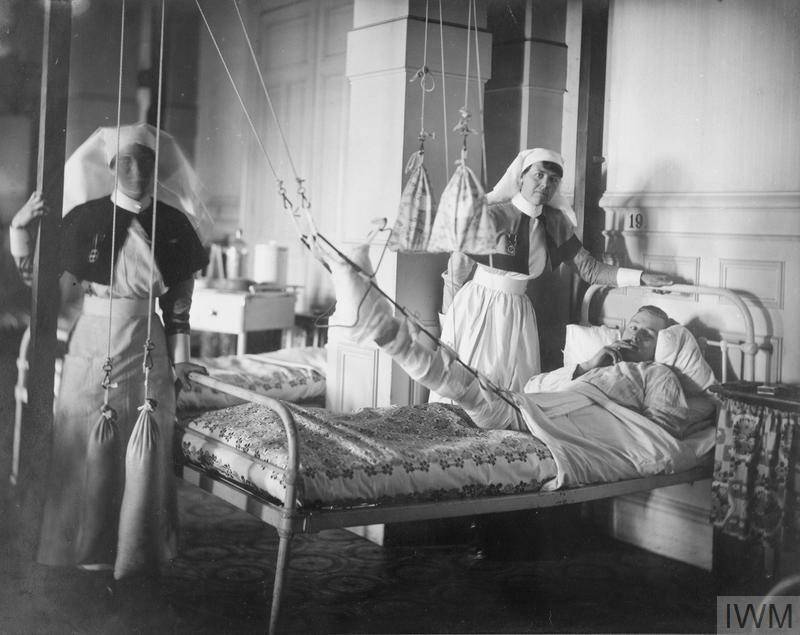 Nursing staff tending to bed-ridden patients on a ward in No, 6 General Hospital, Rouen. 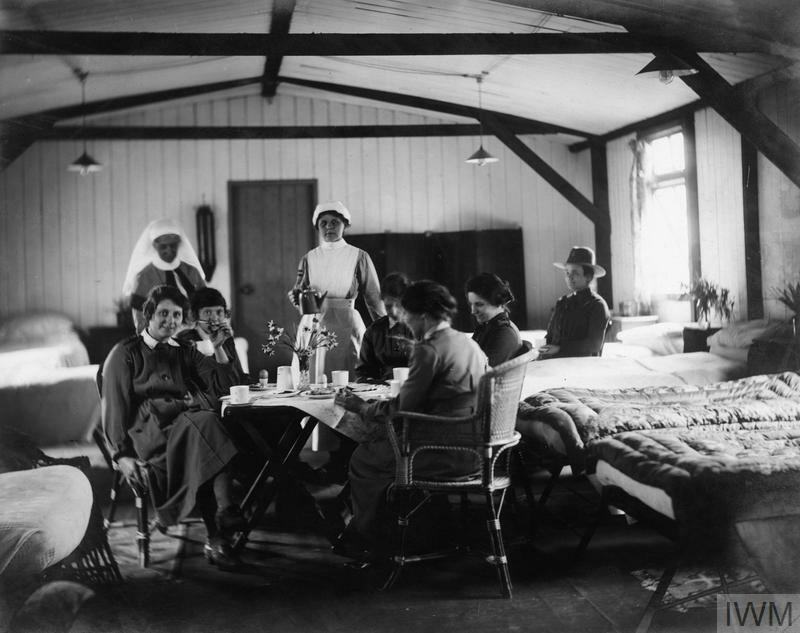 Captain Wiley, Royal Army Medical Corps (RAMC), Sister - Mrs Flanigan, Matron - Miss Drage, Assistant - Miss Davies. Nursing staff tending to bed-ridden patients on a ward at No 6 General Hospital, Rouen in early 1919.